There's a wonderful place in New Jersey called Northlandz. 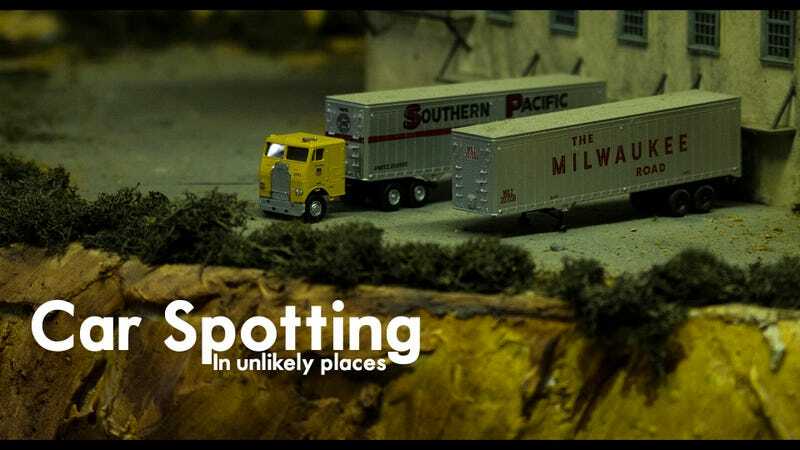 It's home to the worlds largest model train exhibit. Seeing as I love model trains, and have a set myself (though not currently out for display), being able to make the trip out to see Northlandz is wonderful, and I do plan to go back again later this year when some new sections are finished. As I walked through the beginning of Northlandz, I began to notice things. Very wonderful things. There were all sorts of wonderful cars spread around the railroads. This place wasn't just a holy grail for model rail enthusiasts, this was a shrine for all things model sized. The diecasts were amazing, with car after car. There was something for everyone, and absolutely stunning scenery that made everything fit in. This wasn't just a model car with a model railroad. This was the car-guy's model railroad. This was the world we grew up in, with model cars of anything our dreams could think up, and everything that rolled by in traffic. It was the days when owning a car meant a trip to the store, and less than two dollars later, our garage had a new addition. A simpler time, but just as fun. The deeper and deeper you got, the wilder cars you could see. You'd never see it in person, yet just now, you've seen it in person. It was a fantastic wonderland, with something for everyone as far as the eye could see. There were planes, trains and automobiles. It was a real life version of "I spy with my little eyes." You could spend the whole day going through the most amazing thing you'd ever be able to pack into what seems like such a small place. The old and the new, the good and the bad. Northlandz had a taste of absolutely everything, for everyone both young and old. Northlandz, the world's largest model railroad is located at 495 U.S. 202, Flemington, NJ 08822. I suggest to anyone interested, to visit their website for more details, and encourage you to go. It's truly spectacular, and the car spotting is amazing. I challenge you to spot what I've missed! Finally, here's the lead image, without the text, for whoever is interested.